First opened in July of 2007, our Scottsdale Day Spa was the first Hawaiian Experience Spa we opened. Since that time the spa has double in size and, of course, we have opened additional locations. This would not have been possible without he support and approval of the spa’s clients. While some people first visit the spa because of its uniqueness, they only return because of the amazing experience they received. We would like to say mahalo nui loa (thank you very much) to all of our wonderful clients who have taken the time to write a review or share their comments about their experiences at the Scottsdale Day Spa. Our number one source of new clients is referrals, and we are thankful for each and every one. All quotes are from clients who received services at the Scottsdale day spa. See Reviews of Hawaiian Experience Spa’s other locations here. “You know, I think my experience was PERFECT— so I really do not have any suggestions as to how it could have been better. I needed assistance getting ready for my massage, and Becca assisted me perfectly, then my massage was performed PERFECTLY by Kaitlyn, so I am extremely pleased and do not feel anything could have improved my session. I am EXTREMELY please with the staff, and extremely pleased with my therapist—-Life is GOOD, and I personally than your staff members for taking good care of me!!!!! Keep up the good work!!!!! Prior to July 2015 we did not record client reviews and comments by spa. 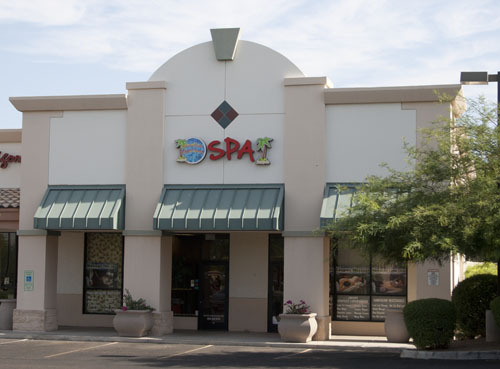 The below spa reviews are from real clients of the spas but some are from client’s who visited the Chandler day spa and some are from clients who visited the Scottsdale day spa.